Are You Effectively Franchising Your Business? Running your own franchisor business can be tricky. Not only are you running your enterprise,but you’re also setting the tone and template for several others. How do you effectively all stay on the same page? Are you splitting your business across several local or global locations? Schools of thought are always evolving on how to best manage franchising. 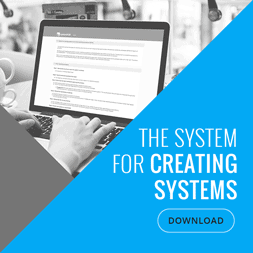 The concept of systems offered by SYSTEMology, for example, can be put to fantastic use in a franchise format. A franchise system is one which works with a local and national business ethos in mind. Franchisees, too, will need to make sure that they continue to keep their own units afloat. 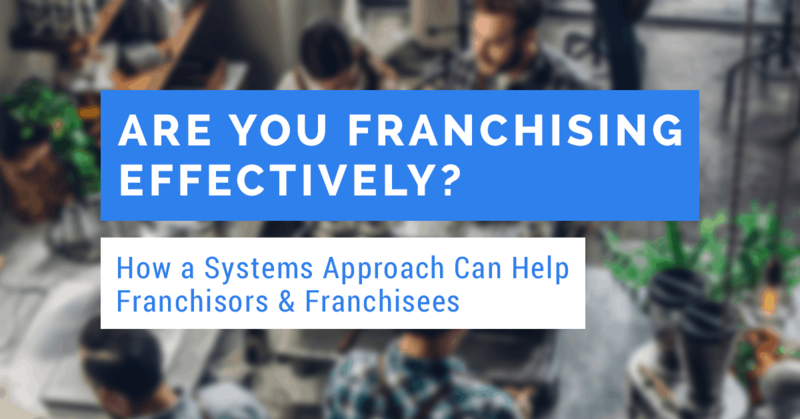 In recent conversation, Franchise Simply’s Prue Keen offered insight into how franchising can directly benefit from SYSTEMology. The running of a business at franchisor and franchisee levels simultaneously can be a headache! Prue, however, offers some sage advice. Documenting your systems clearly and concisely not only helps at base level but also at split locations. Franchising doesn’t have to be scary. It’s an exciting process, all in all. One of the best ways to streamline and to keep everyone on the same page is to design a systems set up that gives answers, support and guidance with little provocation. But where do you begin? And how does such a structure benefit the end user? In this article, we’ll explore Prue’s advice in detail. Put those franchising worries to bed! Prue: We’re really proud to be involved with Dave, in putting together the systems that we put together with our franchisors, Franchise Simply is a consultancy really that helps businesses franchise. Brian is the person who has 35 years of experience in the business at all levels of franchising. My involvement these days is simply to help with documentation and with the system side of it. We’re a very modern business, so our programs are documented and systemised. But we also work with Dave,and we have created this particular product for helping people with their operations manuals, Franchise Simply system. You probably already know that a franchise group is basically two businesses. We take your business and split it up into a franchisee business which delivers the product or service to your client. But you as the business owner move away from that and create a separate business, which is closely intertwined, delivering the service looking after your franchisees. It is the franchisee who brings all of the money into the system; then they pay you for your IP and your systems. As Tom Potter said, I moved from the pizza business to the people business – you no longer deal with widgets. The first part of any of the programs that we put together, the first module, the first units and so on that you go through, are to first learn about franchising. It involves a lot more than just an operation system and legal agreement. You need to be able to work out all your fees and structures; you need to be able to look at your territories. It’s really important that you get your brand and marketing right. The list of things goes on. The first thing then that we also ask you to do is to look at your target market in the brand. It is absolutely essential that you get that focused for your franchisees for your franchise business and that it is niched. You really need to know the people that you’re going to be delivering that product to. We start to work on the franchise structure and the systems from there. This is an example of one of our clients Shannon Daniels from Triumphant Property Services. He just did that first part of our system and what he found, simply by focusing on his target market, when he first started he was doing both property service cleaning and domestic cleaning. When he started to focus in on where the money was coming from and the kind of people that he wanted to service, he found that the domestic market really didn’t bring very much money in. So he got rid of that very quickly. He focused on just this property cleaning. He found that within six months, just making that target market focus and by putting the systems in place, he increased the value of his business by 1.5 million. This is not an exception. We find that this happens more often than not. What we’ve done quite recently is in becoming involved with Dave, is to put together what we call the Franchise Simply system, which is both a process using SYSTEMology® and putting the systems into the software in a cloud-based system, systemHUB. Quite frankly it’s transformed the way that we were able to deliver this particular product to our clients. The first part of this is the process. The first thing that we have to do is go through the Critical Client process to review or create your franchise system. It’s a bit different because you’ve got at least two businesses, the franchisee business and franchisor business. As you come in, in the first instance that first traffic bit, this is another cleaning business that I’m looking at. For the franchisee, the job is referred by a real estate agent. The job will co me in through the website from a tenant. It will be then sent from the franchisor to the franchisee. It’s really simple. This is a really simple business. As far as the franchisee is concerned, this franchisor really didn’t want the franchisees out there doing marketing or doing any of the business admin. That takes their focus of the day-to-day of running the business. A lot of the financial control and so on moves from there to the franchisor business. When you look at the franchisor business, that’s also divided into two bits: one part of it is franchisor’s responsibilities for the franchisee. The franchisor has two major responsibilities. The first one is looking after the brand. The second one is supporting the franchisee to make sure that they actually can do the job. Happy franchisees make profitable franchisees, profitable franchisees make happy franchisees, and it’s really important that they’re given the support to be able to get the job done properly. The other side of the franchisor business is to look after the franchisor business itself, which is mostly tied around franchisee recruitment. That’s got nothing to do with your existing franchisees, that’s a franchisee/ franchisor business responsibility.There are also things like administration and so on that need to be taken into account. The next part of the process we’ve picked up, assign or allocation of departments and you can see here that it’s also split into two. The franchisee business is really simple. All they do is doing the job, cleaning basically and a small amount of administration. In this particular instance, the franchisee does very little local area marketing. Most of it comes from the franchisor side because they do it through the website, they do it through the JV relationships with real estate agents around the traps. The franchisees’ administration includes their local area marketing, organising the team and how they get the work done. The franchisee will have responsibility for reporting back to the franchisor though and for making payments. They’ll have some responsibility for looking after their own business. The franchisor has four departments that sit across the board: marketing, franchisee support, franchisee administration and franchisor business administration. The second part of this is the Software System and we love systemHUB. It’s simple, easy-to-use, linked and held securely with elegant permission sand so on. What we like about it more than anything else is that, in a modern business, you have more than one software system. 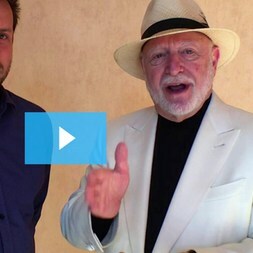 It’s really important for your franchisees’ sake that all of that software has pulled together. Your franchisee operations manual becomes a hub which is linked to all the other pieces of software that sit around it. The franchisor operations manual is also a similar Hub. That links back into the franchisee operations manual hub. through induction face-to-face training, through ongoing training and support. The big thing about it is that the franchisee is trained to go to that franchise operations manual first with that first question and it takes a huge amount of pressure of everybody. So the systems champion, that’s another part that’s absolutely essential about this. Somebody needs to take control of the whole system. As Dave said, it’s not the business owner. That allocation sheet,that splits it up into the bits and pieces and the third thing: kiss. Keep It Simple. Sandra and Simon, actually they’re here today, came to us a while back to franchise. Like the other example that I gave you, they found that before they even franchised, their business increased by about two hundred percent in the first six months. Basically it was by systemising. The systems that they used at that stage were really simple and I’m delighted to see them here again today. By being here today they’re taking it to the next level and I think that’s fabulous. So as I said, we’re really proud to be associated with Dave because I think that what it’s done is it’s made our business better and the service that we can give our franchisors definitely improved as a result of that. Mapping out everything your business does is all well and good. When it comes to keeping things simple across franchisees, it’s a different matter. This is where systems, and SYSTEMology, can come in. As Prue discusses, systems can revolutionise the way you communicate with one another across franchising expanses and beyond. It’s all about keeping things straightforward and at the same level. It’s just as much about deciding and declaring who does what. And when, for that matter, too. Too much time and too much productivity are lost to confusion. This runs true across businesses of all shapes and sizes! When it comes to franchising, however, you’re essentially managing an HQ and several off-shoots at arms’ length. While plenty of businesses have grown franchises to an incredible extent over the years, surely there’s an easier way to go about it? Custom systems creation and management through SYSTEMology® could be the way forward for your own franchising dreams. Businesses split off and franchise all the time. In this day and age, however, it’s important to keep stock of our collective knowledge and specialist abilities. After all, you won’t always be around to keep tabs on everything from afar. We’d love to hear from you regarding franchising. Have you any tips you’d like to share with us? Has SYSTEMology® helped you to understand and manage your own franchising strategy recently? Come and connect with us – and let’s start sharing knowledge and stories.